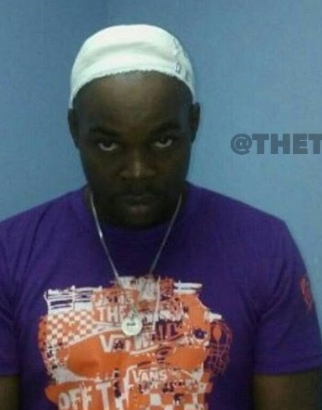 The viral photo of a Jamaican Dancehall star who got horn implants on his head is old. 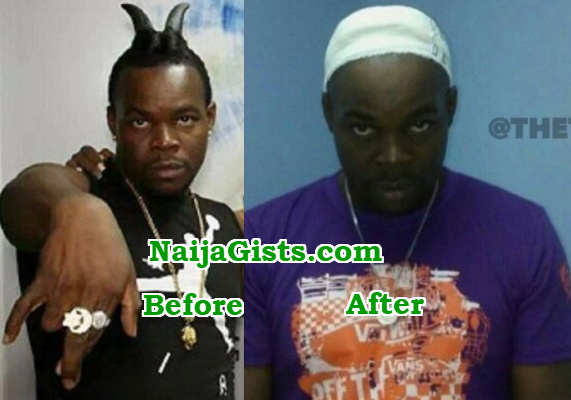 Back in 2015, the artiste hired a Canadian surgeon to implant goat horns on his skull after he claimed God instructed him to do so. 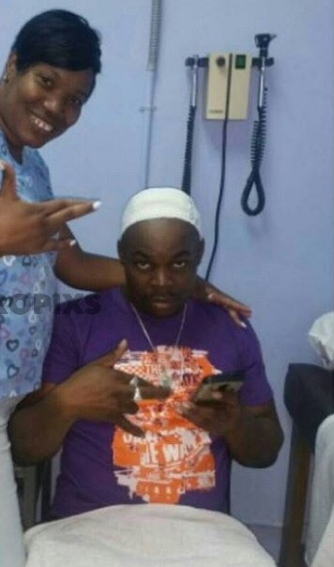 The dancehall artiste whose real name is Kenardo Andre Robinson has since removed the implants. According to Tropixs, Furtyle Brain removed the horns back in January 2017. 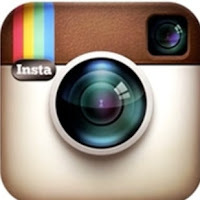 Check out his photos on the day he removed the horn implants below. Goat horns ke, on a human being created in God’s image to fellowship with and worship him? God punish those Surgeons who abuse their jobs and will do anything for money. Did God instruct him to remove it? Stupidity of the highest order. It is like what happened to that pastor in Kenya yesterday who said God told him in his dream to fly to Jerusalem. He has some people make wings from rags and nylons. He even preached to members of his church what he claimed “God” told him in his dream. He climbed up tree with everybody watching. Even his assistant tried to stop him but he refused. Police was called. Then he leaped and crash landed on the ground breaking his ankles and ribs. He is in the hospital now recuperating. People should stop lying in the name of God. That is the biggest sin.